June 18 - 24, 2018 is National Pollinator Week! National Pollinator Week is a time to recognize and celebrate the importance of pollinators. Worldwide, approximately 1,000 plants grown for food, beverages, fibers, spices, and medicines need to be pollinated by animals in order to produce the goods on which we depend. 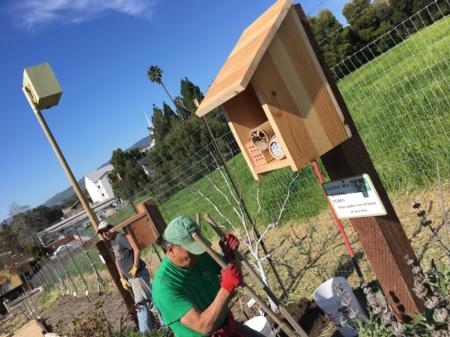 Support pollinators in your home or a community garden with these 13 ways to make your landscape more pollinator friendly. 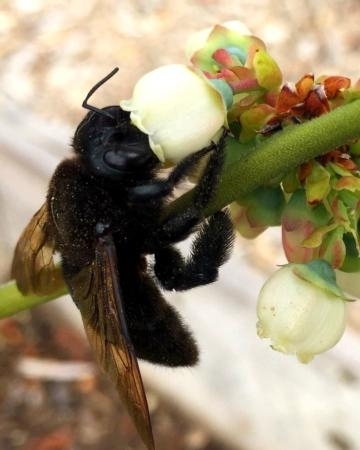 Visit pollinator.org for more information. A variety of plants will be ideal for providing diverse sources of nectar and pollen. Choose at least 20 different plant types, or fewer if the types of plants are highly attractive to pollinators. Don't forget that night-blooming flowers will support moths and bats. Help pollinators find and use your garden by planting in clumps, rather than just single plants. Think about "landing zones." Include plants native to your region. Natives are adapted to your local climate, soil and native pollinators. If you want to see some locals, plant some natives! Overlap flowering times between seasons and use a wide variety of plants that bloom from early spring into late fall.Pollinators are in a constant search for new resources. Choosing plants with overlapping flowering times from February to October will allow bees and pollinators to continually forage in your garden. Design a garden that has structure. The arrangement of plants in your garden will influence your ability to observe and enjoy pollinators. Plant the tallest plants in the back with the smaller ones in the front. Plant in the sun. Bees prefer to visit flowers in the sun, so avoid planting your pollinator-attracting plants in the shadier parts of your garden. Reduce or eliminate pesticide use in your landscape, or incorporate plants that attract beneficial insects for pest control. If you use pesticides, use them sparingly and responsibly. Pesticides can kill bad insects as well as beneficial insects like bees, ladybugs and other predators of garden pests. Don't' forget about nesting bees! Not all bees have a hive. Make sure to leave some areas for bees to build their nests (either in bare ground or in prefabricated cavities in wood). It's ok to leave part of your garden un-mulched for ground-nesting insects to discover. Leave dead tree trunks and branches in your landscape for wood-nesting bees and beetles. By leaving dead trees, or at least an occasional dead limb, you provide essential nesting sites for native bees, but make sure these are not a safety hazard for people walking below. You can also build a bee condo by drilling holes of varying diameter about 3 to 5 inches deep in a piece of scrap lumber mounted to a post or under eaves. Provide clean water for pollinators with a shallow dish, bowl, or birdbath with half-submerged stones for perches. Create a damp salt lick for butterflies and bees. Use a dripping hose, drip irrigation line, or place your birdbath on bare soil to create a damp area. Mix a small bit of salt or wood ashes into the mud. 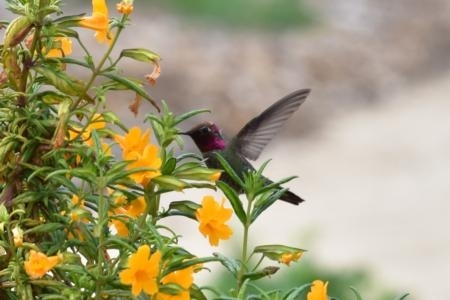 Provide a hummingbird feeder and add to nectar resources. To make artificial nectar, use four parts water to one part table sugar. Never use artificial sweeteners, honey, or fruit juices. Place something red on the feeder. Clean your feeder with hot soapy water at least twice a week to keep it free of mold. 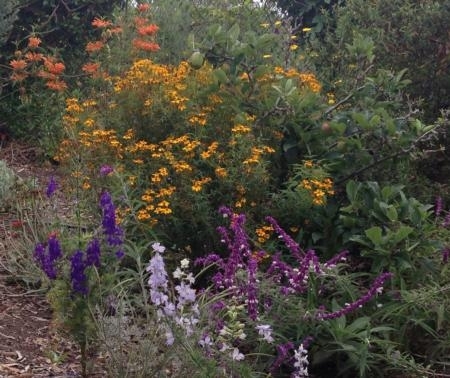 Tips for how to make a pollinator garden originally published on the UC ANR Pollen Nation website. Melissa--I shared this information with Missy Gable this morning, too. 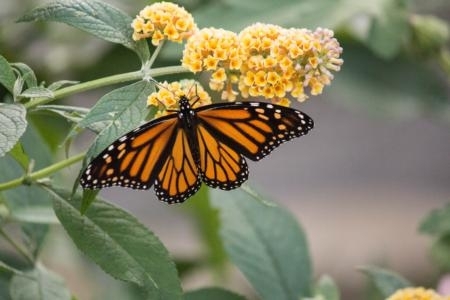 As an avid MG educator about attracting pollinators to your garden, I ran across this information directly from Dr. Christine Casey at the Honeybee Haven. I thought you might be interested in these research findings regarding clean vs. dirty water sources. Melissa, great article! I just knew I needed more plants in my pollinator garden me you confirmed it! My milkweed has been completely deminished and it is only July. Regarding the water supply, will a swimming pool do the trick or should it be in the garden? Thanks for the great post - it's full of good, practical information. In the San Bernardino Mountains we're focusing on native plants, like native narrow-leaf milkweed to help sustain our native butterfly populations. I've never heard of salt licks for butterflies. We'll give it a try! Wow, this is an excellent article. Wonderful explanations and so well presented. I will use this for teaching as well. Thank you! We always grow native plants and flowers next to our garden and it attracts many native bees. It's about time I finish my side yard that I started a year ago. Lot’s of good info. Will also try the “salt-lick”. I would like to share this in a presentation to MG's-in training tomorrow March 8 in Woodland. Is that OK? Of course - thanks for all you do as a MG volunteer!